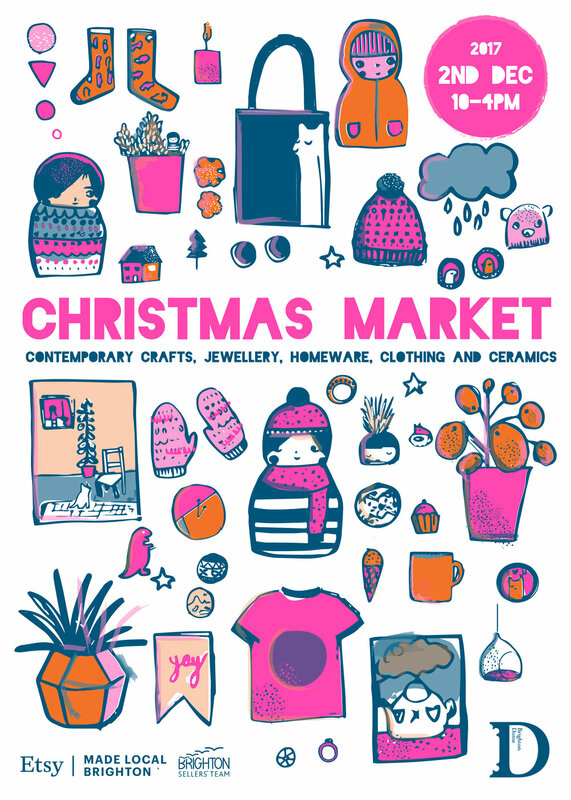 The Brighton Etsy Team annual Christmas market is an opportunity to shop local and independent, promoting the value of handmade and connecting the customer with the maker. Whoever you’re looking to buy for and whatever you’re looking to find you’re sure to discover it; from homewares and jewellery to skincare and art, the fair will be bursting with stylish, contemporary gifts. It's FREE! No need for tickets for admission just come down and shop on the day. To make the day even more fun, I am running a simple competition with an awesome prize. When you come to my stall, as always I will have lots of business cards to give away, but this time if you put your hand in the jar and pull out the watermelon card your going to win something special AND super Ltd Edition. I’m not asking for anything in return, I just want to do something fun and encourage people to stop by and say hello. I will be running the competition once in the morning and again in the afternoon so make sure you stop by on December 2nd at the Brighton Dome between 10am - 4pm. And don't forget to check out my online shop to see what products I will be bringing with me to the market.